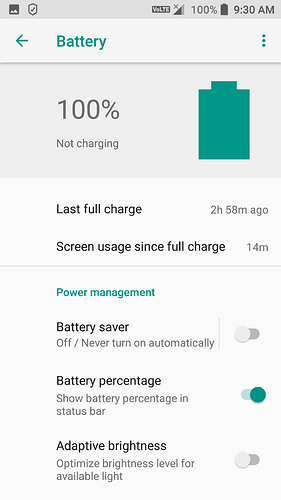 BATTERY stand by improved more after Oreo update.... SRT maintained 100% charge point on stand by up to 3 hours. Then after dropped to 99%. thank you smartron. This is not sircastic Right? Can you please post your usage pattern? And how long it take to drain battery up to more or less 15 percent?